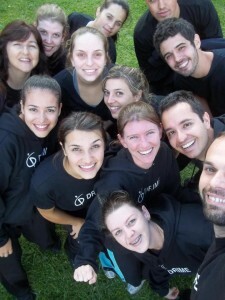 In 2003, DRIME launched its first international base in Gramado, Brazil in partnership with Janz Team Ministries. Carissa (Brey) Youssef and Lisa Beiderwieden, two of DRIME’s most seasoned members, spent over five months training Brazilian leaders, equipping them to lead a DRIME team of their own. 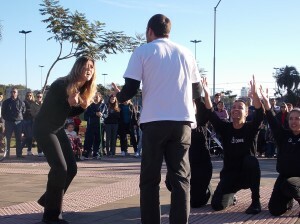 In October 2003, after weeks of selecting members, teaching about the ministry, and training dramas, DRIME Brazil hit the streets for the first time! They currently have three teams in the cities Gramado, Vale dos Sinos, and Pelotas. Want to see or hear more about DRIME Brazil?